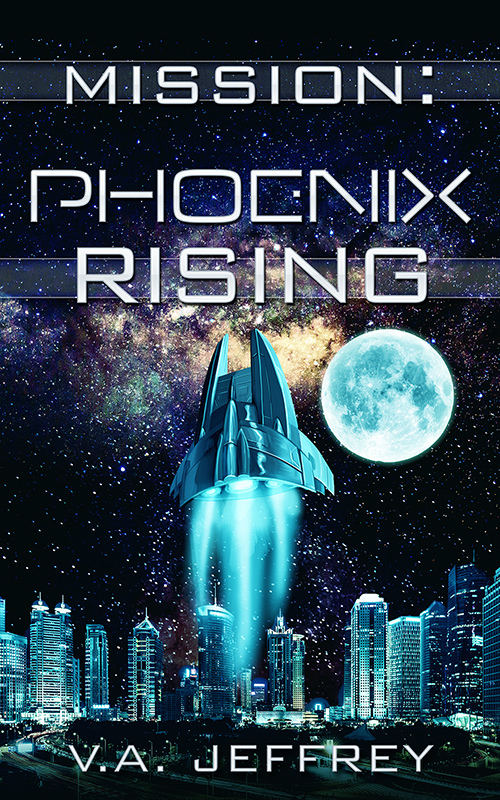 Mission: Phoenix Rising is now available on Amazon for $0.99! It will available on other retail outlets later this month. War is coming! The Blackfleet is arriving sooner than expected! Bob, Diamond, the Boss, and U-net have cobbled together a desperate battle plan and an army to intercept the alien fleet and destroy the last alien base on Io and the stargate on Jupiter. The special weapon that the Boss has built for the newly upgraded Phoenix is an unstable, unpredictable weapon that has already taken the lives of scientists working at the Boss’s secret laboratory during the testing phase but time is up. It must be used or abandoned. If they play their cards right, the ragtag army actually has a fighting chance to defeat the enemy once and for all, an advantage up their sleeve: the element of surprise. Except that the Boss is struggling against hidden enemies, growing hysteria and suspicion as Earth’s populace slowly awakens to what they are facing. Bob is seen by some as a possible terrorist suspect. He is apprehended and brought in for questioning right when he needs to leave on the greatest mission of his life! Will he escape the watchful eyes of the authorities to join U-net? Will U-net make it in time before the Blackfleet emerges from the wormhole? Will the secret weapon the Boss has spent so much time, effort and money building actually work? Or has humanity lost the war before it has begun? It’s been a long time since I’ve done this and I’ve nearly forgotten how fun this is! Here is the cover for the new book, due out this month, in fact, this week!